Since 2014, I have been teaching yoga & meditation to groups and individuals. 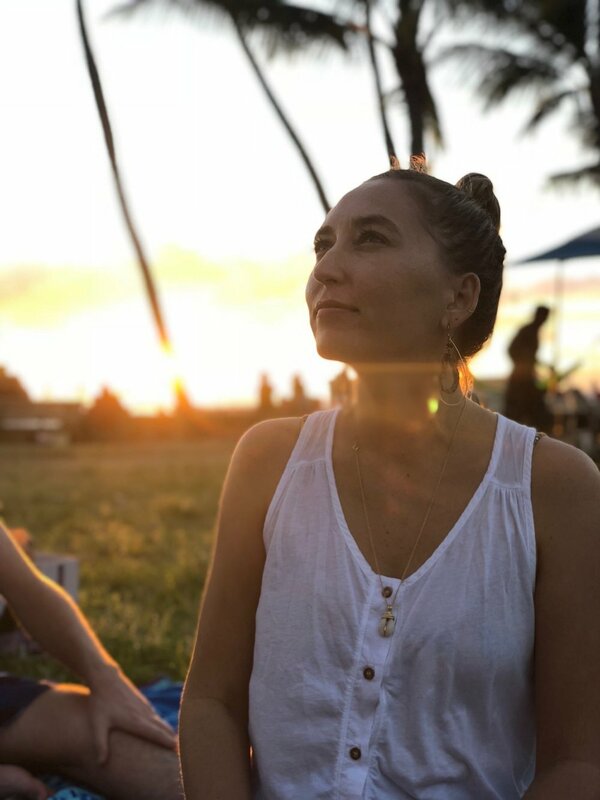 I have over 1,000 hours’ teaching experience, have completed 350 hours of teacher training, and am currently enrolled in Yoga Medicine's 500-hour advanced yoga teacher training. To view my full qualifications please visit my Yoga Experience page. Also a lifelong reader and writer, I earned a master's degree in Library & Information Science (MLISc) at the University of Hawai'i. To learn more please visit my Librarian page. My Bachelor of Science (BS) degree is in Management & Business, and I have over half a decade’s experience in business administration, management, social media/marketing, and public relations. Currently I am based in Honolulu, where I consult, teach yoga, conduct research, and write. Click the links at the top of this page to learn more.